A Russian plane carrying an ice hockey team has crashed shortly after taking off from an airport near the city of Yaroslavl, about 250km (160 miles) north-east of Moscow. Russian media say 36 people have died. The plane was on its way to the Belarussian capital Minsk where the ice hockey team, Lokomotiv, was scheduled to play a match on Thursday. 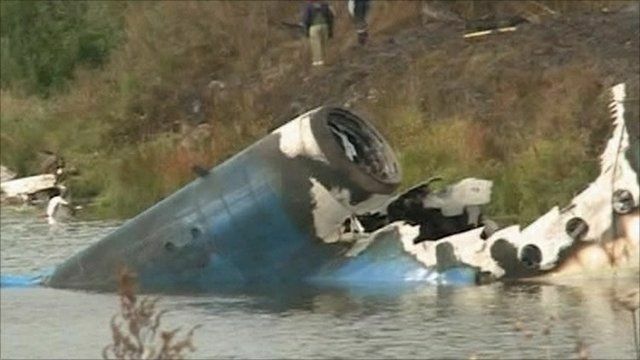 Yuri Maloveryan, from the BBC Russian Service, was at the scene shortly after the crash.